The Hateful Eight Movie Trailer - Tarantino's Back! Check out Quentin Tarantino’s latest movie and it is a the western. Here is The Hateful Eight movie trailer. Film due to be released Christmas 2015 in the UK and a little later in the UK, 6th January 2016. Well first impressions are very good, I really do like the look of this movie, it oozes style. If you were not told who directed it I’m sure most people would say Tarantino straight away. It has his fingerprints all over it. Being fans of Tarantino’s film this looks like it could be another cult classic, here’s hoping. Death Proof didn’t do as well as hoped, but has fast become a cult classic along with all those other films. Do you have a favourite Tarantino movie? or maybe you think he is overhyped, either way we would love to hear from you. Subscribe and leave a comment on your thoughts of The Hateful Eight movie trailer. 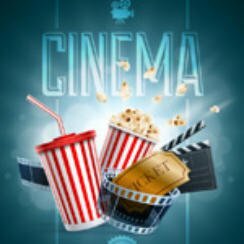 While we have your company why not take a look around the rest of our site, Movie Reviews, New Releases, Recommendations, Movie Trailers, News or take one our Movie Quizzes. You can follow or contact Popcorn Cinema Show across social media, just click on the approriate icon. We need your help, would you like to see any new feature or section adding to the website? You input is valued but please be constructive with your comments, thanks. Tarantino looks to have another fine film to add to his cv. Solo A Star Wars Story: Does the trailer leave you excited or disappointed?